Latest video game from TT Games goes beyond Gotham. Warner Bros. Interactive Entertainment, TT Games and The LEGO Group are collaborating on the third game in the bestselling LEGO Batman franchise. LEGO Batman 3: Beyond Gotham will launch this fall for Xbox One, Xbox 360, PlayStation 4, PlayStation 3, Wii U, PC, Nintendo 3DS and PS Vita. The game features Batman, Robin, Superman, the Green Lantern and a full cast of super heroes and super villains. And unlike the first two games in the series, the action this time around launches into outer space. 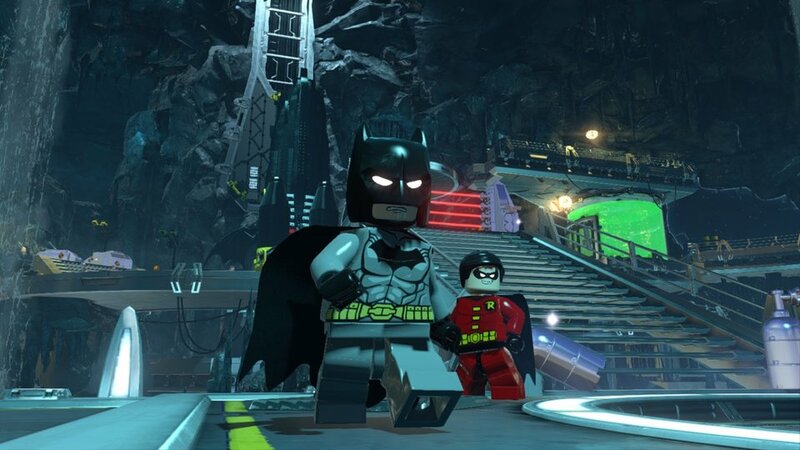 LEGO Batman 3: Beyond Gotham also will allow players to explore iconic locations such as the Hall of Justice, the Batcave and the Justice League Watchtower. They will be able to access Batman’s training modules on the Bat Computer and take part in various challenges, battles and races. The game offers the traditional co-op gameplay for parents and kids, brothers and sisters and just about anyone to explore the rich brick worlds together. LEGO Batman 3 also introduces new space shooter action to the mix with an assortment of vehicles, including the Bat Rocket, for a new take on co-op. LEGO Batman 3: Beyond Gotham is being developed by TT Games and will be published by Warner Bros. Interactive Entertainment. To-date, LEGO video game sales have reached more than 100 million units worldwide. LEGO fans also have LEGO Batman: The Video Game and LEGO Batman 2: DC Super Heroes to keep them busy until the fall.